Agate Composing is a completely new way to power up your Eudemons abilities. Every 30-star or above Eudemon can reach a brand new ranking level via Agate Composing. 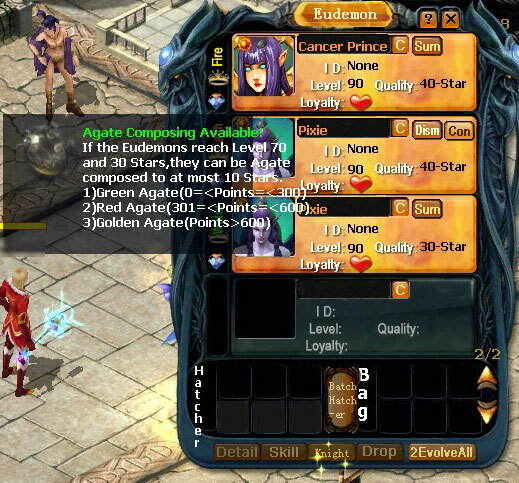 Same as the Orb Composing, it will allow your 30-Star or above Eudemons to add up to 1,000 points to your major one. This composing can be divided into 3 phases according to its points: 1-300, Green Agate; 301-600, Red Agate; 601-1000, Golden Agate. You must meet the requirements in order to make further progress. 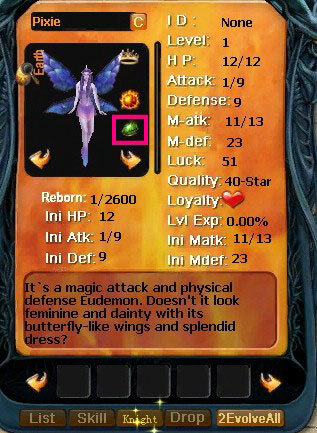 Your Agate points will also be added to your Eudemon Star points. When you meet the requirement, move your mouse to this icon , you will see the following information. 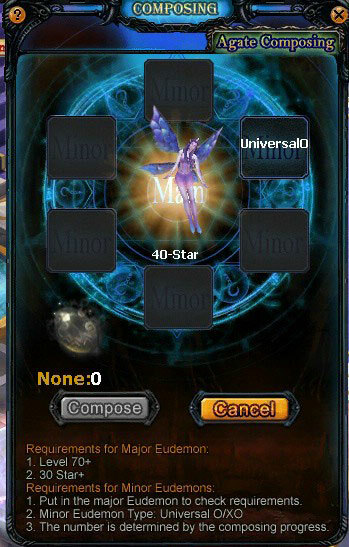 Click icon to activate the Eudemon Altar! What sort of Minor Eudemons used for composing is determined by the Agate Points of the Major Eudemon. Input the Major Eudemon, then the requirements for the Minor Eudemon necessary to compose will be displayed. 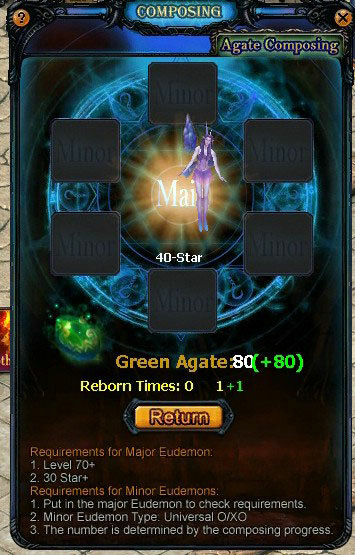 Put the minor Eudemon required, and then click on the 'Compose' button, the Major Eudemon's Agate points and rebirth times will increase, and its level will go back to level 1. When you finish one Agate composition, move your mouse to beside the Eudemon Avatar and you can check its current phase of Agate Composition. You can also check Eudemon's quality details with the help of Nels. As you can see, Agate points are also an important part of the Eudemon's quality.